The Quadrennial World Sailing Olympic Classes World Championship 2018 in Aarhus DEN was concluded yesterday with the RS:X windsurfer and Nacra-17 Medal Races sailed in slackening winds. The RS:X men windsurfers sailed their Medal Race in a 10kn breeze, for the RS:X women, the wind dropped to about 5kn, and the Nacra-17 Race had to be cancelled, as the wind disappeared completely. Dorian Van Rijsselberghe NED in the RS:X men windsurfers was - as in his two Olympic victories 2012 and 2016 - the premature winner before the last race. Nevertheless, he showed his class as 3rd in the Medal Race once more. Silver went to his trainings partner Kiran Badloe NED. Louis Giard FRA earned Bronze. In the RS:X women as well, the Gold Medal was Dutch prematurely. Lilian De Geus NED finished as World Champion with huge 30 points advantage on the Olympic Champion Charline Picon FRA. The French athlete, in her comeback after a pause while having a baby, demonstrated, that she is back on top. Bronze went to Yunxiu Lu CHN. The Medal Race of the Nacra17 could not be run due to lack of sufficient wind. Too bad, as the small points' gaps would have guaranteed exciting battles. Ruggero Tita/Caterina Banti ITA, dominators of the season, crowned their year with the Worlds title. On rank 2, only one point behind, followed the two-times 49er Olympic Medallist Nathan Outteridge AUS (with his sister Haylee Outteridge AUS as crewt) in his first Nacra-Saison. Bronze went to the Olympic Champion Santiago Lange/Cecilia Carranza ARG. No North American boats racing in yesterday's Medal Races. All ranking lists, the final report and the video of the day. The Olympic Classes World Championship continued yesterday with the Medal Races of the 49ers and 49ersFX. No surprise in the 49ers sailing in moderate and stable winds, where Sime and Mihovil Fantela CRO celebrated the first 49er World Champions' title and this on 18 months since they migrated to the Skiff. Winning the Medal Race, Mathieu Frei/Noe Delpech FRA advanced on rank 2. Tim Fischer/Fabian Graf GER earned Bronze. The Medal Race of the 49esrFX was shaken up by a passing rain front. Tanja Frank/Lorena Abicht AUT, starting the Medal Race with an 11 points lead, controlled the race till the arrival of the rain front, when they capsized loosing their points' advantage. Annemiek Bekkering/Annette Duetz NED herited rank 1 and the title 2 points ahead of the Austrians. On rank 3 followed Sophie Weguelin/Sophie Ainsworth GBR. Today, the Medal Races of the RS:X windsurfers and the Nacra 17 catamarans are on the program without NorAm partiicipants. These races can as always be followed live on this website. All Olympic 2020 Nations' Berths (40% of the starting slots) have been allotted. Here the report of World Sailing. The two Laser fleets concluded their Worlds yesterday with the Medal Races, sailed in a 5 to 20kn wind. In the Lasers Radial, the situation on the podium was clear before the race already, as the points' gaps were significant. Emma Plaesschart BEL, a worthy successor for the multiple Champion Evi Van Acker BEL, won her first big title ahead of the Olympic Champion Marit Bouwmeester NED and Anne-Marie Rindom DEN. In the Lasers Standard, Pavlos Kontides CYP succeeded to keep his first place in a tight fight with Matthew Wearn AUS, earning his second Laser Worlds title. The Australian finished 2 points behind. As 3rd in the Medal Race, Philipp Buhl GER jumped on the podium grasping Bronze. The 49ers, RS:X windsurfers and Nacra 17 concluded their Final Series yesterday and will start to the Medal Race today. In the 49ers, the situation is clear as Sime and Mihovil Fantela CRO will hardly loose the title with a 13 points' lead before the race. Only two years after changing from the 470 to the 49, their first big skiff title is ahead for the former Optimist World Champion and 470 Olympic Champion 2016 Sime Fantela. Tim Fischer/Fabian Graf GER are on rank 2 with a 5 points advantage on their compatriotes Erik Heil/Thomas Plössel GER. Medal chance are also with Matthieu Frei/Noe Delpech FRA 8 points behind rank 3. The 49erFX terminated their qualification two days ago. With an 11 points' lead, Tanja Frank/Lorena Abich AUT have good chances to win the Worlds title. In the Nacra 17, the big favorites Ruggero Tita/Caterina Banti ITA have finally taken the overall lead, but Nathan and Haylee Outteridge AUS are only one point behind and also the Olympic Champions Santiago Lange/Cecilia Carranza ARG 3 points back remain in the race for the title. 3 points is the backlog of Lin Ea Cenholt/Christian Lübeck DEN on Bronze. Suspense guaranteed ! In the RS:X windsurfers, the Olympic Champion Dorian Van Rijsselberghe NED has a 14 points advantage on Kieran Badloe NED. Louis Giard FRA follows as 3rd, but Pawel Tarnowski POL is only 2 points back. In the RS;X women windsurfers, Lilian De Geus NED is the premature World Champion as her lead on the 2nd is already 30 points. Yunxiu Lu CHN on rank 2 is 10 points ahead of the Olympic Champion Charline Picon FRA. With a small 3 points' backlog, Emma Watson GBR and Zofia Noceti-Klepacka POL remain in the race for a Medal. The Finns and 470 Medal Races were sailed in moderate winds. With an impressive start-finish victory, it was Beresz Zsombor HUN who earned Gold in the Finns. The defending Champion Max Salminen SWE had to content himself with Silver. Pieter-Jan Postma NED grasped Bronze ahead of the tied Josh Junior NZL ranked 4th. Leader change in the 470 men as well with the leading Anton Dahlberg/Fredrik Bergström SWE sailed down on the last place in the Medal Race allowing Kevin Peponnet/Jérémie Mion FRA to take Gold, their first important international title. Silver and Bronze went to Tetsuya Isozaki/Akira Takayanagi JPN and Jordy Xammar/Nicola Rodriguez ESP. In the 470 women, Ai Kondo/Miho Yoshioka JPN defended their first place. Silvia Mas/Patricia Cantero ESP, winners of the Medal Race, advanced on rank 2 earning Silver. Bronze went to the Olympic Champion Hanna Mills GBR with Eilidh McIntyre GBR. Today, it is the Lasers' turn to run the Medal Races. In the Lasers Standard, the duel between Pavlos Kontides CYP and Matthew Wearn AUS 4 points behind will be crucial. Elliot Hanson GBR on 3rd it with a 19 points' backlog far behind and has to defend the Bronze Medal against Philipp Buhl GER 4 points back. In the Radials, Emma Plaesschart BEL has an 11pts advantage over the defending Champion Marit Bouwmeester NED. The 3rd-ranked Anne-Marie Rindom DEN is 23 points behind and has to fight for Bronze against Paige Railey USA 3 points behind..
As best if the day, Sime FantelaMihovil Fantela CRO have taken the lead in the 49ers ahead of Tim Fischer/Fabian Graf GER. Erik Heil/Thomas Plössel GER climbed on rank 3 in the interim's rankings. Two more races are on the program today. The 49erFX have concluded their program. Tanja Frank AUT - 2 years ago Olympic Medalist in the Nacra-17 - together with Lorena Abicht AUT as crew has taken the lead. The Austrian ladies have an 11 points lead and a surprise seems ahead ! The experienced teams Sophie Weguelin/Sophie Ainsworth GBR and Annemiek Bekkering/Annette Duetz NED separated by 4 points will fight for Silver and Bronze. beträgt 4 Punkte. In their first year on the Nacra 17, the former 49er Champion Nathan Outtridge with Haylee Outteridge AUS have taken the lead yesterday, 3 points ahead of the Olympic Champions Santiago Lange/Cecilia Carranza ARG. Lin Ea Cenholt/Christian Lübeck DEN follow another point behind on rank 3. In the RS:X men windsurfers, Dorian Van Rijsselberghe NED moved up on top after the first 3 Final races. Pawel Tarnowski POL follows 10 points behind. Kiran Holmes GBR is on rank 3. In the RS:X woman, Lilian De Geus NED is 4 points in front of Yunxiu Lu CHN, Zofia Noceti-Klepacka POL followsy on rank 3. All ranking lists, the news of the day and the video of the day. The initial light winds yesterday increased during the day caused by a thunderstorm front filling in the afternoon, and the Olympic Classes Worlds in Aarhus DEn continued according to plans. The two 470 fleets and the Finns concluded the Final Series selecting the top-10 each for the Medal Races of tomorrow Friday. Moreover, the first 8 nations per class grasping an Olympia 2020 berth are already known and are presented in the news. USA is qualified in the 470 men thanks to McNay/Hughes, Canada for the Finn with Tim Ramshaw. In the Finns, Max Salminen SWE has taken the lead and goes with an 8 points' advantage in the Medal Race, followed by the tied Zsombor Berecz HUN and Josh Junior NZL. Only one point back, Nicholas Heiner NED remains another hot candidate for the title. In the 470 men, Anton Dahlberg/Frederik Bergström SWE stay on top with a 6 points' lead on Tetsuyo Isozaki/Akiro Takayanagi JPN and Kevin Peponnet/Jérémy Mion FRA. Winner of the only race of the day were Norizan/Abdul Aziz MAS, finishing the Worlds on rank 13. The 470 women did not compete. Ai Kondo/Miho Yoshioka JPN will go to the Medal Race with a 5 points' lead on Camille Lecointre/Aloise Retornaz FRA. The RS:X windsurfers and the Nacra17-catamarans had their lay days yesterday. All other classes sailed additional Final races. In the Lasers Standard, Pavlos Kontides CYP has taken the overall lead winning the only race of the day. Matthew Wearn AUS and Sam Meech NZL follow on the ranks 2 and 3. One race only for the Lasers Radial where Paige Railey USA reclaimed the lead one point ahead of the tied Emma Plaeschart BEL and Anne-Marie Rindom DEN on 2nd and 3rd. Two more races are on the program today. The 49ers, scheduled for afternoon races, had to flee ashore chased by the arriving thunderstorm front. The 49erFX however completed three heats, and winning the last race, Tanja Frank AUT, Nacra-17 Bronze medalist in Rio, took the lead with Lorena Abicht AUT as crew. 5 points back follow Natasha Bryant/Annie Wilmot AUS on 2nd, Annemiek Bekkering/Anette Duetz NED are 3rd. All ranking lists, the news and the video of the day. Another day with light winds only and only a reduced program was completed. In some classes, the ranking lists were quite mixed up. The Final Series of the 470 women have been concluded. Ai Kondo/Miho Yoshioka JPN will go to the Medal Race next Friday with a 5 points' lead on Camille Lecointre/Aloïse Retornaz FRA. Hannah Mills/Eilidh McIntyre GBR follow with a 10 points' backlog on rank 3. In the 470 men, Anton Dahlberg/Frederik Bergström SWE extended their lead on Kevin Peponnet/Jérémie Mion FRA on 7 points. Matthew Belcher/Will Ryan AUS are on rank 3 with an 11 points' deficit. The 470 men will sail their last Final Series race today. The RS:X men windsurfers completed 3 races and the new leader is Pawel Tarnowski POL, 3 points ahead of Dorian Van Rijsselberghe NED new on rank 2. Daniele Benedetti ITA and Mattia Camboni ITA follow tied on the ranks 3 and 4. In the RS:X women windsurfers, Yunxiu Lu CHN move on top thanks to 2 race wins. With a 3 points' backlog is Liliane De Geus NED on rank 2. The Olympic Champion Charline Picon FRA advanced on rank 3. In the Finns, Ed Wright GBR stays on top 7 points ahead of Tom Ramshaw CAN on rank 2. Josh Junior NZL is new on rank 3. In the Nacra 17, a major overthrow occurred as the big favorites Ruggero/Banti ITA had a disaster day and dropped from rank 1 to rank 12. New in the lead are the Olympic Champions Santiago Lange/Cecilia Carranza ARG, 5 points ahead of Samuel Albrecht/Gabriela Nicolino BRA on 2nd. Jason Waterhouse/Lisa Darmanin AUS follow on rank 3. Leader change also in the Lasers Standard with Matthew Wearn AUS new on top, 4 points in front of Pavlos Kontides CYP. The former leader Sam Meech NZL dropped on rank 3. One race only was sailed in the Lasers Radial and Anne-Marie Rindom DEN defended her lead by a small margin. Paige Railey USA is only one point back. New on rank 3 is Sarah Douglas CAN. Im 49erFX, Ida-Marie Baad/Marie Thusgaard DEN extended their lead on 10 points. Annemiek Bekkering/Anette Duetz NED moved up on rank 2. Tanja Frank/Lorena Abich AUT are now on the 3rd place. The 49ers had their lay day and begin today with their Final races. Instead of the announced fresh westwinds, lull conditions prevailed yesterday and most races of the day were cancelled. The 470 men completed just a first Final race won by Matthew Belcher/Will Ryan AUS who moved up on rank 2 overall just one point behind the still leading Dahlberg/Bergström SWE. The 49ers finished a race as well with Lucas Rual/Emile Amoros FRA extending their lead on 8 points. Dunning/Gunn NZL remain on 2nd and Fischer/Graf GER are new on rank 3 ahead of a close pack on the ranks 4 to 10 within 4 points only. In the RS:X women windsurfers, Zofia Noceti-Klepacka POL have taken the overall lead after the only race of the day. In the 49erFX and the Nacra-17, only one group per class completed a race and the qualifications continue today. The Finns and RS:X men did not start at all. The two Laser fleets had their lay day. After 3 days with light to moderate winds, a westerly wind from the shore filled in with 20 to almost 30kn on the offshore courses. The 470 and Finns has their lay day, the two Laser fleets concluded their qualifications for Gold- and Silverfleets. The RS:X windsurfers and the Nacra-17 catamarans joined the competition. In the Nacras, Ruggero Tita/Caterina Banti ITA dominated their group with 3 race wins. Thomas Zajac/Barbara Matz AUT and the Olympic Champions Santiago Lange/Cecilia Carranza ARG follow on the ranks 2 and 3. In the men windsurfers, the experienced Louis Giard FRA and the surprising Daniele Benedetti ITA share the lead after 3 races. One point behind follow at equal points Kiran Badloe NED and Dorian Van Rijsselberghe NED. Zofia Noceti-Klepacka POL is on top of the women's rankings ahead of Saskia Sills GBR and Liliane De Geus NED on the ranks 2 and 3. In the Laser Standard, the downunder boats dominated in the prevailing fresh conditions. Behind the leader Sam Meech NZL follow an Australian trio with Luke Eliott AUS, Matthew Wearn AUS and Tom Burton AUS. Pavlos Kontides CYP on rank 5 is the best European. In the Lasers Radial, the new leader is Anne-Marie Rindom DEN with Line-Flem Höst NOR and Paige Railey USA folgen auf den Rängen 2 und 3. The skiffs sailed two races. Leader change in the 49ers with Lucas Rual/Emile Amoros FRA on first 4 points ahead of Logan Dunning/Oscar Gunn NZL. On rank 3 followed Josh Porebski/Trent Rippey NZL. In the 49ersFX, Ida-Marie Baad/ Marie Thusgaard DEN defended their lead. Charlotte Dobson/Saskia Tidey GBR advanced on rank 2. The 470s and Finns begin their Final races today, and the still prevailing fresh westwind will certainly mix up the fleets. Racing can be followed livestream on our website. Olympic Classes - World Championships 2018 - Aarhus DEN - Day 3, NorAm top-10 results in 5 classes ! The Olympic Classes Worlds in Aarhus continued yesterday again in moderate 10 to 15kn winds and the full program was completed. The 470s and Finns concluded the qualifications for Gold- and Silverfleets. Anton Dahlberg/Frederik Bergström SWE lead in the 470 men 5 points ahead Keiju Okada/Jumpei Hokazono JPN before the Final Series. On rank 3 follow Tetsuya Isozaki/Akira Takayanagi JPN. The defending Champions Matthew Belcher/Will Ryan AUS moved up on rank 4. The 470 women continue racing in one fleet. At the end of the qualifications, Ai Kondo/Miho Yoshioka JPN - best of yesterday (3/5) - lead ahead of Hannah Mills/Eilidh McIntyre GBR and Camille Lecointre/Aloise Retornaz FRA. In the Finns, the leading pack is closely together after 6 races with Ed Wright GBR, Max Salminen SWE and Nicholas Heiner NED jointly on top one points ahead of Tom Ramshaw CAN on 4th. The two Laser fleets sailed the races 3 & 4. With the ranks 1 and 2, Sam Meech NZL maintained his impressive row of top ranks in the Lasers Standard and remains on top 2 points ahead of Kaarle Tapper FIN. The Olympic Champion Tom Burton AUS moved up on rank 3. In the Lasers Radial, Paige Railey USA has taken the lead ahead of Anne-Marie Rindom DEN and Line Flem-Höst NOR. Yesterday, the 49er and 49erFX skiffs started their competition with 3 races each. 4 teams share the lead in the 49ers: Dunning/Gunn NZL, Rual/Amoros FRA, Frei/Delpech FRA and Lima/Costa POR finished each with the ranks 1 and 2 in their groups. In the 49erFX, Jena Hansen/Katja Salskov DEN with two bullets are on top of the rankings. Odile Van Aanholt/Marieke Jongens NED and Ida-Marie Baad/Marie Thusgaard DEN are the first persuers. A successful comeback had also the Olympic Champions Martine Grael/Kahena Kunze BRA after Martine's Volvo Ocean Race break staying on rank 5 (one race win). Today, the Nacra-17 catamarans and the RS:X windsurfers begin their competition. We shall transmit racing of the day live on www.sailing-news.com. Slightly fresher conditions, 10-12kn, compared to day 1 prevailed yesterday on Aarhus Baycom, and a five Classes engaged could sail the planned program. The 470 men and the Finns resailed the cancelled races of day 1 in addition. Kazuto Doi/ Naoya Kimura JPN and Anton Dahlberg/Fredrik Bergström SWE keep the lead in the 470 men at equal points. Jordi Xammar/Nicolas Rodriguez ESP follow 2 points back on rank 2. Japanese is the lead also in the 470 women with Ai Kondo/Miho Yoshioka JPN. Winning both races of the day, Hanna Mills/Eilidh McIntyre GBR moved up on rank 2. Camille Lecointre/Aloise Retornaz FRA follow on rank 3. With the day ranks 1/3/3, Pieter-Jan Postma NED has taken the lead in the Finns. 5 points behind follow Tom Ramshaw CAN and Josip Olujic CRO at equal points on the ranks 2 and 3. Laser results see next news text. Today, the 49er and die 49erFX skiffs start their competition. Racing can be followed live on this website. The two Laser Classes started their World Championships at the joint Olympic Classes Regatta in Aarhus DEN in moderate winds. Two races could be completed. In the Lasers Standard, Sam Meech NZL has taken the lead with two bullets in his Group. Kaarle Tapper FIN (2/2) follow on rank 2, while Nick Thompson GBR and the Olympic Champion Tom Burton AUS occupy the ranks 3 and 4. In the Radials, Vasileia Karachaliou GRE and Paige Railey USA share the lead at equal points, closely followed by the Olympic Champion Marit Bouwmeester NED and Line-Flem Höst NOR 2 points back on the ranks 3 and 4. Light winds prevailed in Aarhus yesterday during the first races of the joint Olympic Classes World Championship. Especially the first starting 470 men and Finns had to sail their only races of the day in a slackening gradient wind. The 470 women however had a moderate seabreeze around 10kn. Newertheless, the favorites have already taken the first places. The 89 Finns sailed in two Groups. Winners of the day were Jorge Zarif BRA and Josip Olujic CRO. Joan Cardona ESP and Guillaume Boisard FRA finished 2nd in their Groups. In the 470 men, 62 teams, 2 Groups - the day's winners were Dahlberg/Bergström SWE and Mantis/Kagialis GRE. Xammar/Rodriguez ESP and Ferrari/Calabro ITA follow as 2nd of their Groups. Only the 470 women completed 2 races. Camille Lecointre/Aloise Retornaz FRA has taken the first place with the ranks 2 and 6. Ai Kondo/Miho Yoshioka JPN and Linda Fahrni/Maja Siegenthaler SUI, one race win each, follow on the ranks 2 and 3. Today, the Lasers Standard and Radial begin their competition. We transmit the races live on our page. Alle ranking lists and the daily news. Today, the most important sailing event of this year, the joint Olympic Classes World Championship (and first qualifier for the 2020 Olympic in Japan), will be kicked off in Denmark. In all Classes, one third of the 2020 Nations' berth will be allotted. 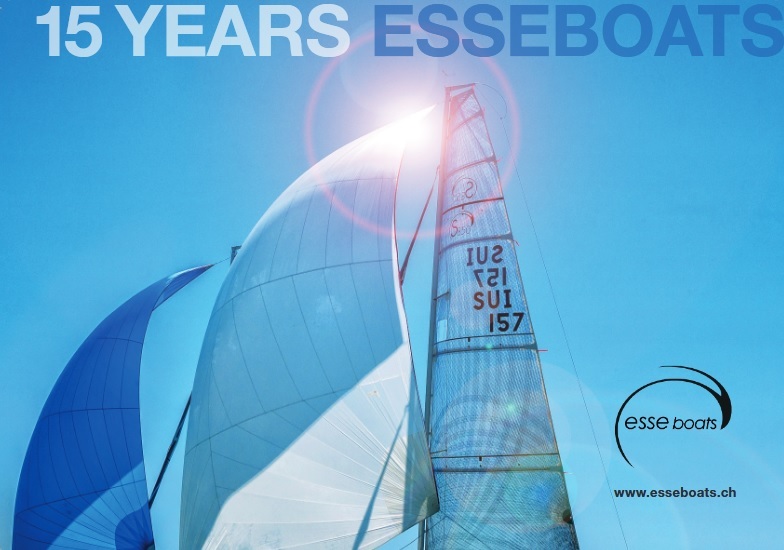 1400 participants on 1000 boats from 85 nations are participating. As first, the 470s (m & w) and the Finns will be sailing. Here program overview of this week. Light to moderate winds have been announced for the coming days.